We do not use pork for dishes we serve at the restaurant. 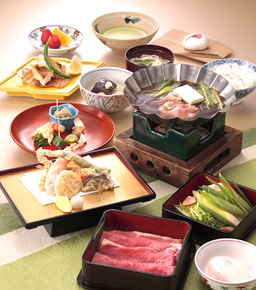 Also, we are able to serve food without using Japanese Sake and Mirin (sweet Sake) . All the ingredients are carefully checked if any of those contain condiments that have pork related or alcohol. ※kyoto, osaka yokohama branch only. 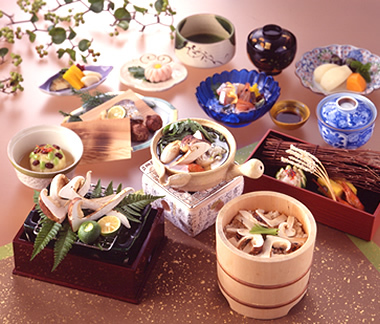 ・The content of the menu and the container change every month because it uses the food of in season. ・The photo is for illustrative purposes only. 1. Please fill in your name, contact number, number of people, price, date and time, and restaurant name to make a reservation. 2. 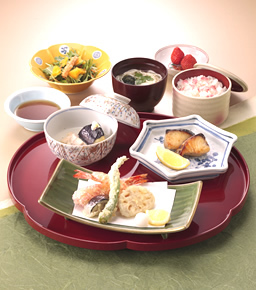 This special meal is only made and serve for Muslim customer and not to current customer. Cancellations will be accepted free of charge up to 2 days prior to reservation. 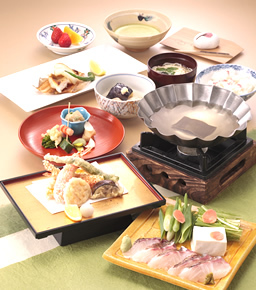 It is possible to serve Lunch JPY7,560 and Dinner JPY16,200 at Main restaurant TAKESHIGERO and SHINJYUKU SUMITOMO restaurant. The service charge adds 20% (am11:00-pm17:00=10%) to the above-mentioned.